If you want to find out about exciting things to do and places to visit, what’s on in Hampshire will give you a whole new world of experiences. 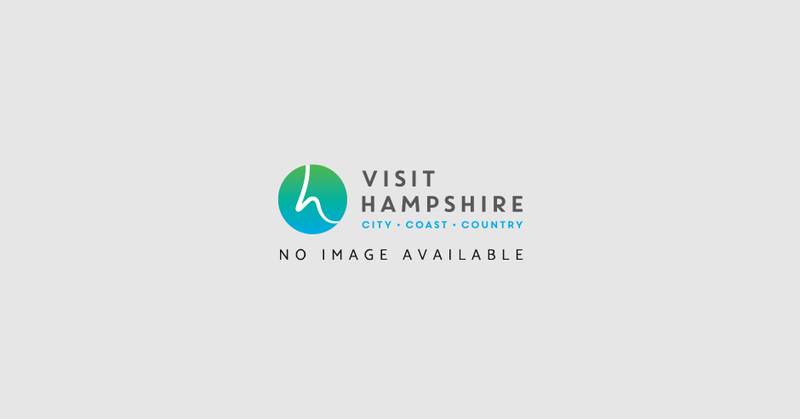 Hampshire is bursting with exciting entertainment and special events, from food festivals and sporting spectacles to art attractions and musical magic. Are you a fan of the sea? Then don’t miss the annual Southampton Boat Show, where you can drool over hundreds of spectacular boats and try your hand at watery thrills like diving or yacht handling. How about Cowes Week, the world's largest regatta? A truly lively event with lots of fun on land and sea, Cowes Week is a regular attraction in the Solent every August. The Farnborough International Airshow takes place every two years and promises lots of aviation adventure. You can enjoy air displays, stage shows, games and competitions as well as finding out about aviation heritage and the latest developments in aircraft technology. We love our food in Hampshire and we love celebrating it. We enjoy making food and drink an integral part of our many fun-filled events and activities across the county. To experience the best of what’s on in Hampshire, visit the Alresford Watercress Festival, held annually on the third Sunday in May. This features cookery demonstrations and tastings of the town’s famous crop, but it’s also a huge street party. Join in with music, dance, circus skills and face painting or browse the well-stocked market stalls for a friendly and memorable day out. Don’t miss the Southsea Food Festival, which is part of a month-long celebration of food in the Portsmouth area in June and July, featuring cookery demonstrations, markets, celebrity events and food tastings all over town. Topping the lot is the popular Hampshire Food Festival, which takes place in July and champion’s good food all over the county. Savour lovely sights, sounds and smells with farm tours, cookery demonstrations and lavender walks as well as trying your hand at jam and chocolate making workshops. You can also go gourmet with wine tastings, brewery tours, afternoon teas and special menus on this month-long culinary trail. Add to that the delicious temptations and top quality local produce at Hampshire Farmers’ Markets, Trout ‘n’ About festival in Stockbridge and the Southampton Beer Festival, and there’s something to enjoy all year round. For a joyful celebration of street theatre and lively entertainment, visit the Winchester Hat Fair. Here you can watch performers of all kinds sing, dance, juggle and strut in return for a few coins in a hat. If you want to try Indian classical dance, listen to Bollywood or Bhangra or try tasty Asian foods, look no further than the annual Southampton Mela Festival in July, a multi-cultural extravaganza of world music and dance. More than just tractors and wellies, the agricultural shows of the New Forest & Hampshire County Show and the Romsey Agricultural and Horse Show have plenty of attractions for the family. With highlights such as showjumping, motorbike and pole climbing displays, funfairs, livestock competitions, food halls and flower shows, they provide an insight into country life and a fascinating fun day out. There’s plenty more to enjoy about what’s on in Hampshire, from theatre and all kinds of music to West End shows. The Mayflower in Southampton stages many top musicals, operas and concerts and the King’s Theatre in Portsmouth and Theatre Royal in Winchester also offer a rich and stimulating programme. Other venues include the Southampton Guildhall, Portsmouth Guildhall, the West End Centre in Aldershot, the Anvil in Basingstoke and the Turner Sims Concert Hall in Southampton. Here you’ll find a fantastic choice of concerts, exhibitions and shows. Football fans can celebrate the beautiful game at Southampton and Portsmouth Football Clubs. You can watch Hampshire Cricket at the stunning Ageas Bowl, which also plays host to international rock and pop acts. Motorsport fans will love the full programme of national car and bike racing at Thruxton, the UK's fastest circuit, near Andover, whilst the world renowned Goodwood Festival of Speed and Revival meetings are held annually in nearby Chichester.